I’ve just become Ireland’s first Patron of Reading. Trinity Comprehensive School, Ballymun, is a north Dublin school in an area which was, in the past, a byword for deprivation. 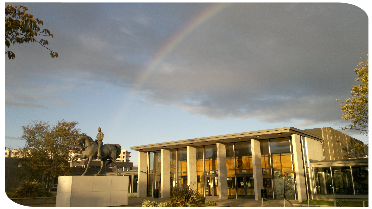 In recent years, Ballymun has been the subject of a huge regeneration programme, and it’s a place where I have been welcomed since I did my very first school visit there four years ago. This was drawn by the principal, Ms Fran Neary. That was the first of many visits to the school. 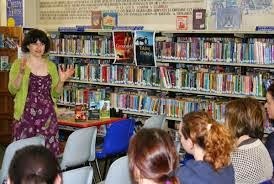 I’ve done lots of talks and workshops in the library which is, like all good school libraries, central to the school, promoting literacy in its widest sense. I think I kept being invited back because I’m unpretentious and realistic. Earlier this year Joe and I decided to formalise the relationship by designating me Trinity’s Patron of Reading. I’m sure readers of this blog are familiar with the PoR scheme. It’s an excellent way for schools to connect with writers, and for writers to connect with readers. When I attended a ceremony in Trinity last month to mark becoming its Patron, one of the things I promised to do was to use my December ABBA post to celebrate being Ireland’s first PoR. In the last week, however, my thoughts have also been exercised by the furore over ghost-writing, transparency, and celebrity culture. There’s been a lot of nonsense in the media, as well as a lot of good common sense – not least here on ABBA: thank you, Keren David. What I always emphasise on school visits is that writing is a process, and often a fairly torturous one. I don’t pretend to write quickly and easily. I show the pupils the whole journey of a novel, from notebooks with rough planning, through printed-out and much scribbled over drafts, to the final book. 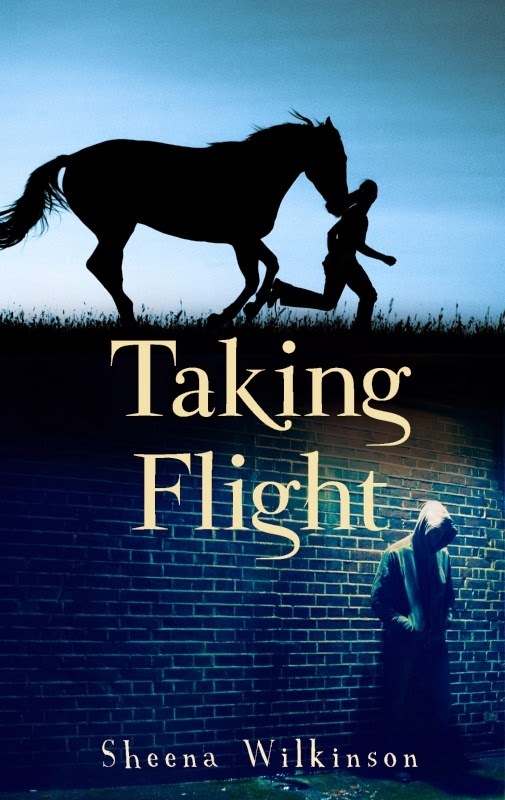 I’m not precious – I tell them about the times when it’s been hard; I show them a six-page critique of an early draft of Taking Flight, and point out that there is a short paragraph of ‘Positives’ followed by five and half pages of ‘Issues to Consider’. 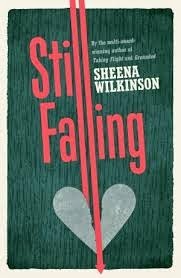 I tell them about going to an editorial meeting to discuss Still Falling, and how my editors spent five minutes telling me what they liked about the novel and 55 minutes telling me what wasn’t working. I’m not trying to put kids off. I always emphasise that making things up is magical, and seeing your ideas develop into actual stories that people read is the best thing in the world. But I do let them see that it involves a lot of hard work. Nowadays I think that’s even more important. I once shared a platform with two children who had self-published. It was a ridiculous, uncomfortable event: there I was talking about hard work and rejection and editing and how hard it is to get published, and there were these two little pre-teen moppets with their shiny books. The primary school audience, who won’t have known the difference between self-publishing and commercial publishing, probably thought I was some kind of slow learner. But I least I told them the truth. Honesty. I think we need more of it. I’m so proud to be Ireland’s first Patron of Reading, and I intend to keep on being honest about writing as a magical, but difficult craft. Thank you, Sheena! 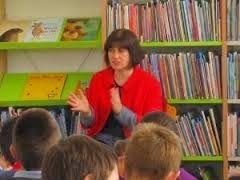 As a brand new Patron of Reading myself - to Cardinal Griffin School in Cannock - I think I'll take a few tips from you. Your approach sounds ideal. Patrons of Reading are great! We've got the UK covered now! Great to have you on board and a great blog piece. Congratulations on your appointment, Sheena! Excellent post too. As you say, there's too little said about the hard slog in writing, or in any other field where excellence is a necessary qualification. I don't know why: dedication is a value that many children appreciate, even hold in awe - especially when they understand that years of work (and more of background experience) can go into a project; for someone who's only a few years old it can be daunting, but truly inspirational at the same time. I'm jealous, Sheena - I once wrote to Antonia Forest myself but she never wrote back.